Here we find the true motivation of these brutal men: money. Their inspiration for conspiring to lurk secretly and lay wait for the blood of the innocent was the insidious sin of covetousness. They were so "greedy of gain" that they were willing to "[take] away the life of the owners thereof" to get it (Pro 1:19). Evil men will stop at nothing to fulfill their lusts. As Matthew Henry so eloquently wrote, "Nature is content with little, grace with less, but lust with nothing." The scripture declares that "the love of money is the root of all evil" (1Ti 6:10). The verse goes on to say that, "which while some coveted after, they have erred from the faith, and pierced themselves through with many sorrows." Wicked men such as these should consider their ways and ask themselves if filling their houses with spoil is worth losing their own souls. Jesus taught His disciples to "take heed, and beware of covetousness: for a man's life consisteth not in the abundance of the things which he possesseth" (Luk 12:15). The most important things in life are not things. It's better to make a difference than a fortune. The Son of God taught that "ye cannot serve God and mammon" (Mat 6:24), and if a man tries, he will end up hating one or the other. Walking straddled over a fence is sure to end in pain. The apostle Paul exhorted Timothy that "they that will be rich fall into temptation and a snare, and into many foolish and hurtful lusts, which drown men in destruction and perdition" (1Ti 6:9). If a man wants to fill his house with precious substance, he should seek to do so by living righteously and faithfully, not by conniving to plunder his neighbor, whether on the street corner or at the ballot box. Pro 28:20 - A faithful man shall abound with blessings: but he that maketh haste to be rich shall not be innocent. Even if these thugs were successful in pillaging the innocent and robbing them of their substance, it would be short lived; for the Lord "casteth away the substance of the wicked" (Pro 10:3), and "the wealth of the sinner is laid up for the just" (Pro 13:22). They may succeed in spoiling their innocent victims, but the LORD will "spoil the soul of those that spoiled them" (Pro 22:23). You reap what you sow, and "they that plow iniquity, and sow wickedness, reap the same" (Job 4:8). 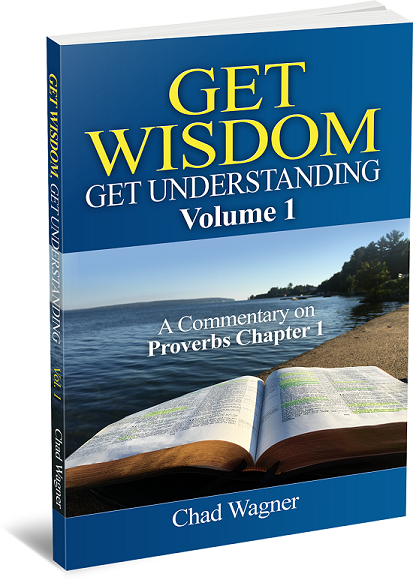 For the previous blog in this series, click here: Proverbs 1:12. For the next blog in this series, click here: Proverbs 1:14.